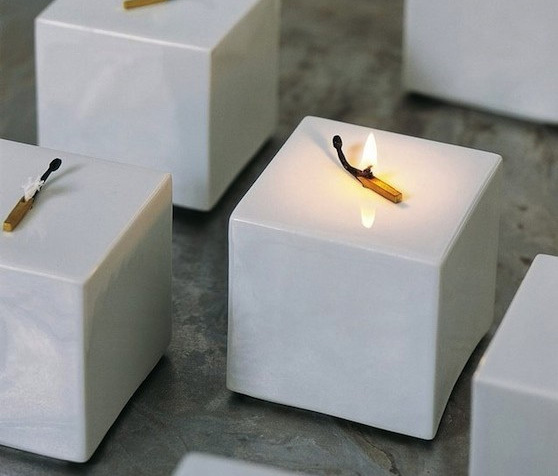 It’s a simple, cleaver design that provides hours of soft, elegant candlelight. 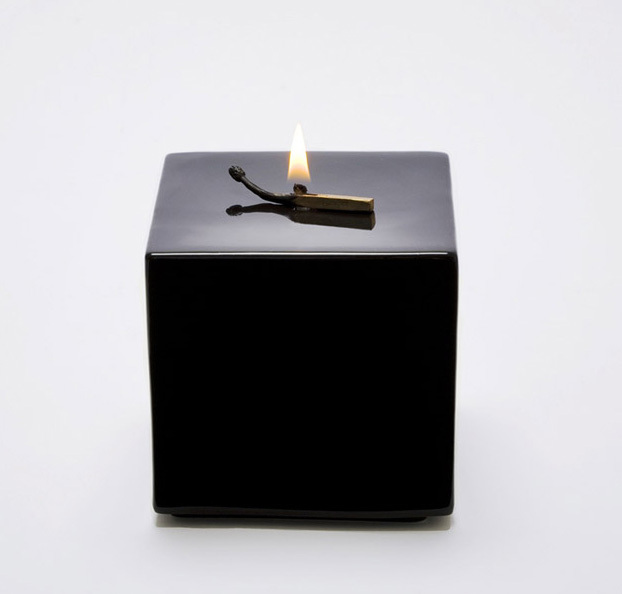 Leave the Light On is intriguing and not what is seems at first glance, a burning match that has been casually abandoned. 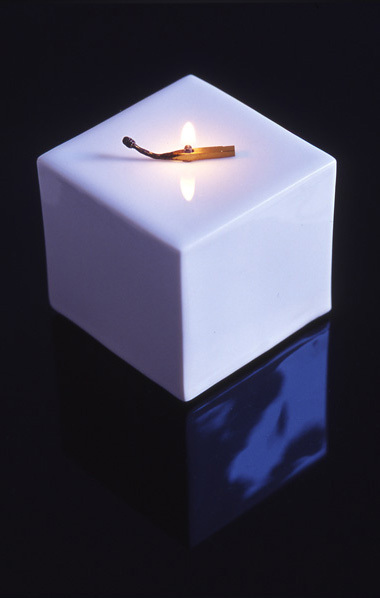 At a second glance, one discovers that the match on the porcelain cube continues to burn for hours. 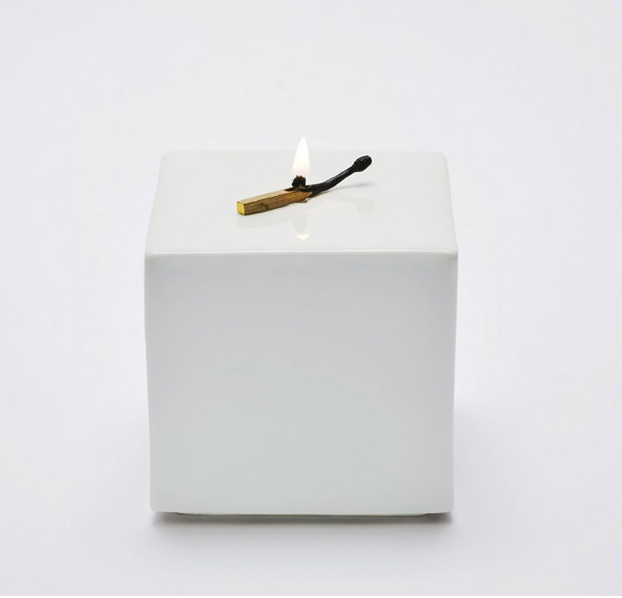 The match, made of brass, contains a wick that absorbs lamp oil from the porcelain cube below. 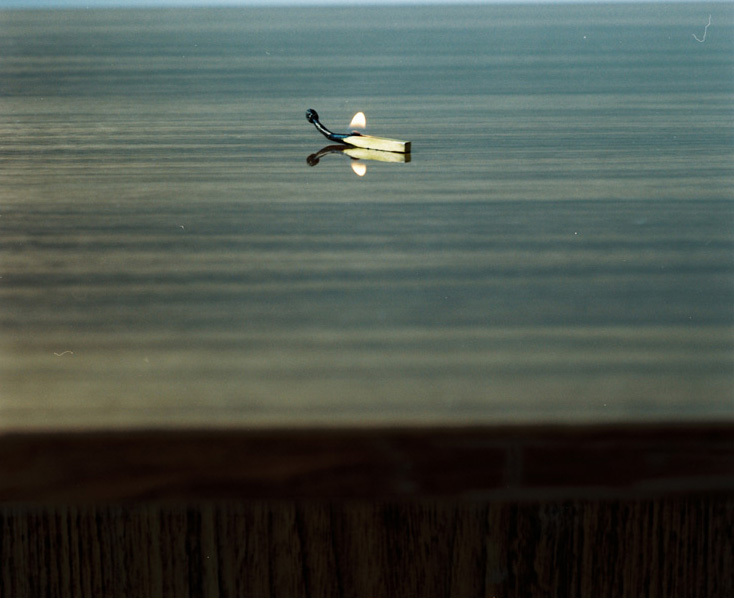 I love what you guys are up too.This type of clever work and reporting!